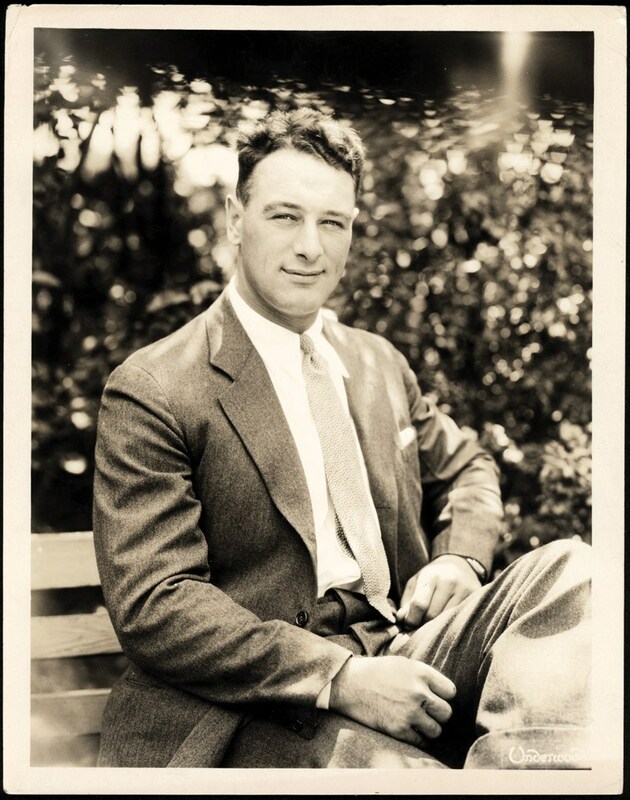 One of the more obscure-like Gehrig photos, this 8" x 10-1/8" eclectic image portrays the "Iron Horse" spending some leisure time in his formal attire as he gracefully sits on a park bench. 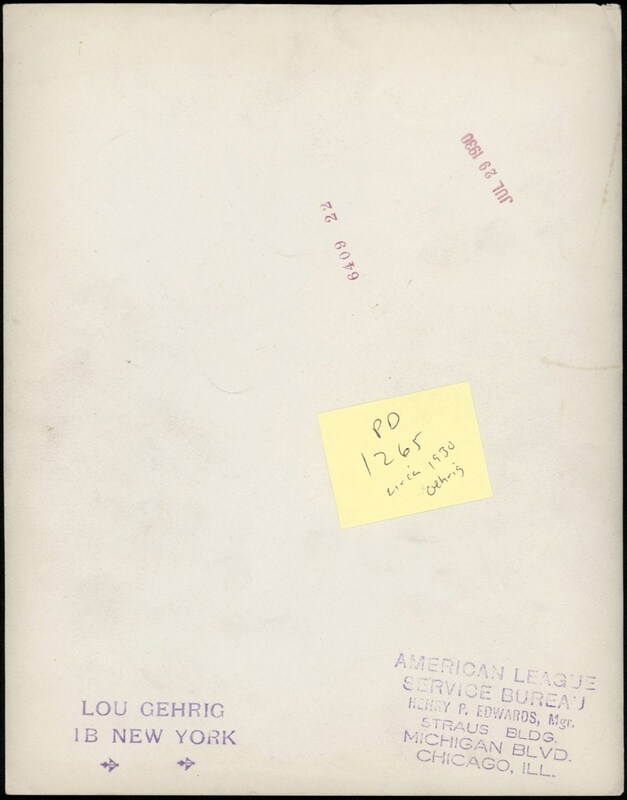 Issued by the American League Service Bureau/Underwood & Underwood, it stands as a steadfast testimonial to Gehrig's tranquil nature that ultimately led to him being the Bronx Bomber's "quiet hero". 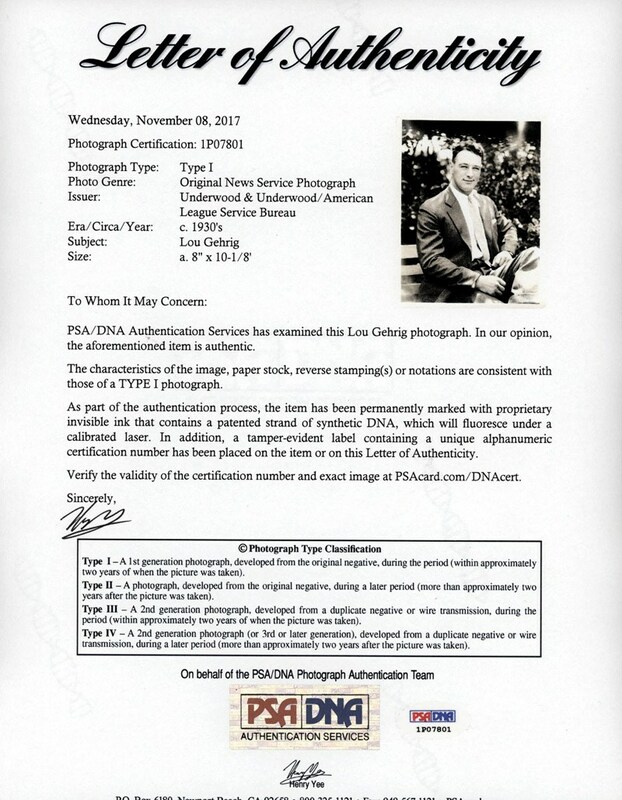 This well-centered image portrays superb resolution, fine contrast, and has eluded any obtrusive surface flaws with only a few stray creases situated near a few pf the corners.